Meet and discover the world with Tinku!
. to discover other parts of the world?
. to do voluntary work that is really helpful? . . to make the journey of your life?
. 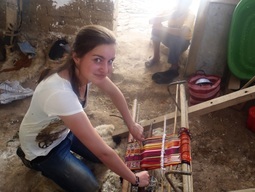 to combine voluntary work or internship with traveling through the most beautiful places of Latin America?
. to make true your ideals? Yes?...Then Tinku is what you'r looking for! What can Tinku offer you? .Volunteer opportunities and internships that really matter. .Intensive Spanish courses in the Netherlands or in Latin America. .Individually or in a group. .Stay with a host family or in a house for volunteers. 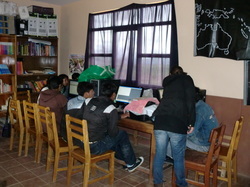 .Assistance, checks and guidance during volunteers’ stays. Everyone who wants experience as much as possible the unique experience of his life in Latin America. It does not matter how young or old you are. 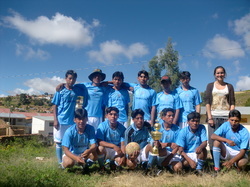 You do voluntary work and you work with the local people in one or more projects in the countryside or in the city. You get to know the local people and their language and culture really well. Tinku guides and prepares you in a personal way to have your adventure in Latin America. (depending on the type of work you want to do). • You are independent and flexible. • You can deal with simple living conditions. • You are enthusiastic and motivated to contribute! • You do at least 4 weeks voluntary work. Discover the world with Tinku! Tinku means encounter, meeting, share, and exchange. Tinku, Volunteering and Internship in Latin America, offers people, especially the young the opportunity to have a direct contact with other people, cultures and make the journey of your life. 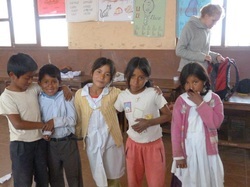 By volunteering in the Andean region of Latin America, you can work as a volunteer for small-scale development contributing to the local communities. Dutch youth are acquainted with another side of the world. 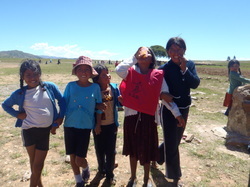 Andean communities have the opportunity to share their knowledge, culture and solidarity to the younger visitors to display. It is an opportunity to get to know each other and learn from each other.